Having Hey Siri enabled for hands-free activation of the virtual assistant is undoubtedly useful, but sometimes you may find that Siri doesn’t always respond on the iPhone. Conversely, sometimes you may experience Hey Siri activating out of the blue seemingly unsolicited. Both of these issues are usually a result of Siri not recognizing your voice well enough, and thus you can improve Hey Siri responsiveness by training it to your voice. 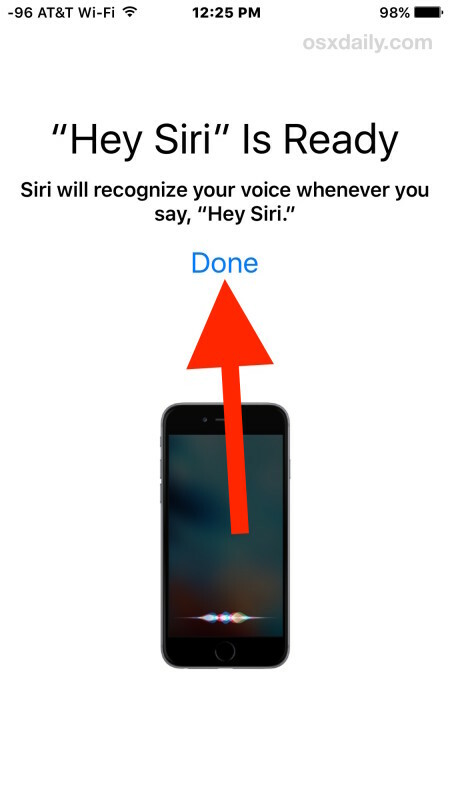 The Hey Siri voice recognition training process is attempted when setting up iOS on new devices, but some users may skip the process, or they may rush through it and not put much thought into the setup. 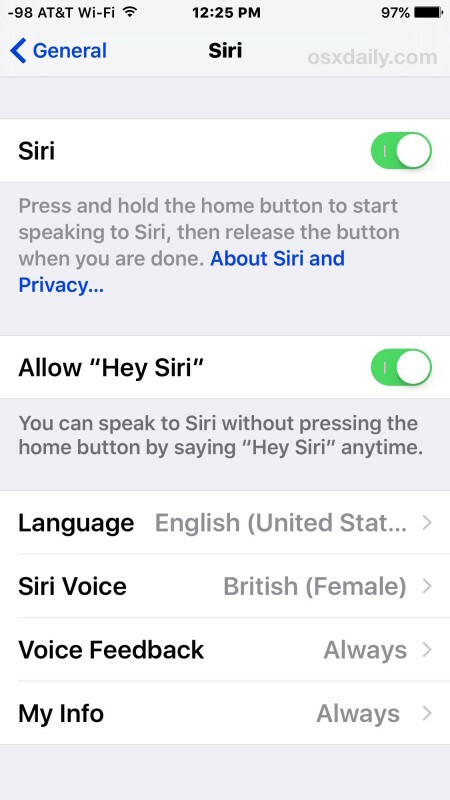 It turns out this is a fairly important step to getting Hey Siri to respond accurately and appropriately, however, and so we’ll show you how to run through the Hey Siri recognition and setup process again. This works with any iPhone or iPad that supports “Hey Siri” mode. For best results, be in a quiet location and speak in your natural voice. This immediately turns Hey Siri back on again, but now freshly trained to your voice. 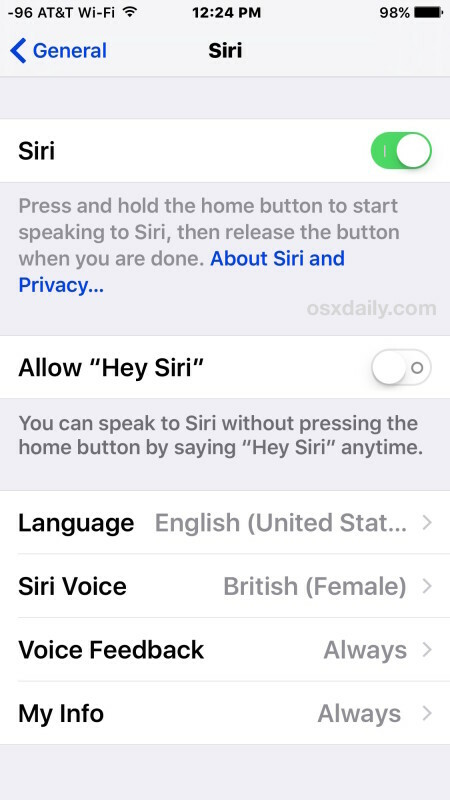 Now Siri will recognize your voice specifically when “Hey Siri” is attempted to be activated. Go ahead and try it out as usual by summoning thy voice assistant with Hey Siri, followed by a regular Siri commands. 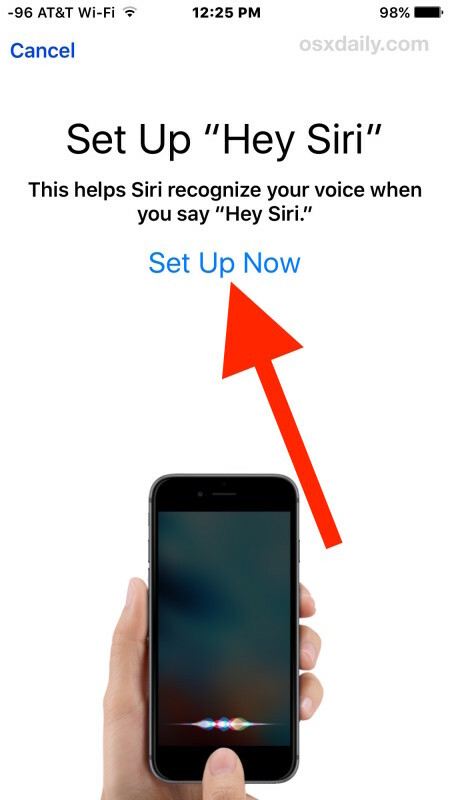 Going through this setup process (or re-training it by running through it yet again) can make a huge difference in how well the feature works, and it should dramatically reduce the accidental incident of enabling Hey Siri as well, whether Siri is talking out of nowhere or whether Siri is attempting to respond to the Cookie Monster commercial. For now, the Hey Siri training process does not seem to make a difference with the same voice activated Siri feature on the Apple Watch, but perhaps a few release of software will allow it to be trained as well. Trying this out now, I hope it helps improve Siri response. I want Apple to put more resources into Siri, because compared to Alexa from Amazon, Google Now, and Cortana from Microsoft, Siri is way behind. It is not too difficult to imagine the “Her” movie to be a reality, from the other three companies anyway, but Siri feels stuck in 2010. Great! This worked really well for me. Just what I was looking for to get better results with Siri! Voice control and voice bots for tasks are the near future, they are very nice, it’s a more natural input than typing a question or request in many cases, and some of them even work really well. The movie “Her” I think is fairly accurate of where we will soon be from Microsoft, Google, and Amazon. And then there is Apple and Siri. Hey Siri responds to my voice about 50% of the time and I have gone through this recognition setup a few times. So it’s a 50/50 chance it will trigger to begin with. Then it’s another 50/50 odds that it will accurately interpret what I say, and another 50/50 odds of it knowing what to do with the request otherwise it will search the web or time out. So that’s about a 12.5% success rate with Siri. Sad! Working with Siri is sometimes frustrating. Odds are about 25 o/o she will get the subject right & that’s not good enough! I agree, Siri needs to be way more reliable. Siri has not improved much since it debuted years ago, whereas Google, Microsoft, Amazon, and even Facebook have incredible voice recognition and AI capabilities. Why has Apple fallen behind? The richest company in the world can’t afford good voice and AI engineers? Doubt it. Sounds like a different kind of problem to me – management. When you have the resources, and you’re surrounded by the worlds most talented engineering pool in the Silicon Valley, and you still can’t do something right, the problem is in the hierarchy. There s no Siri buttobin my iPhone 4 In general. On the 4 I’d it located somewhere else because Siri is an adding program f or 4. Dnae, there is also no Siri button on your toaster. New technology is only on newest supported hardware. If you want Siri you should buy a new iPhone. Great advice info and help this adticle was to me (novice) I find technology a curse and a blessing and get frustrated very easily. After reading this I found it was me not Siri was the problem but how to change the voice is now my next task. I had “Hey Siri” set-up previously and it just quit working. I turned the feature off and then back on and when I go to re-record my voice it won’t pick anything up. I have the most recent update for software, my microphone is working, I am connected to wifi and reset the network settings. I’ve tried everything. I have a 6s Plus. Any suggestions? Thanks Paul, perfect instructions and quick, thank you.